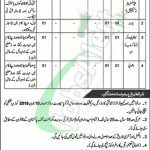 Applications are invited from CMH Bannu Jobs 2018 Combined Military Hospital Career Opportunities to appoint the male and females for ample of the vacancies for which services of energetic, expert and hard working individuals are required to fill the following posts which include (Database/System Administrator (Technical), Barbor, Sanitary Worker (Male), Dhobi (Washerman)) are the posts which need to be filled with overall qualification of ICS, Intermediate, Matric, Literate and Relevant Diploma with 1 and 2 year's experience is required to apply for such posts. All the domicile holders of Bannu are welcome to apply. The quota is reserved for KPK & Sindh province to fill these posts. As the posts are of BPS-11 To BPS-01 Scale so attractive remuneration will be given to the applicants with a brilliant atmosphere. Age limit should be 18 to 25 years and 5 years age relaxation will be admissible to the applicants. Now, I will let you know about its further details below. CMH is abbreviated as Combined Military Hospital is the Pakistan Armed Forces Hospitals which are full of all the basic necessities of the hospitals are provided to the Army employees and give proper and excellent medical aid to the patients. The CMH is located in cantonment of the cities wherever the lies. Being a Govt hospital it offers Govt jobs of different level. Applications along with copies of educational and experience certificates, CNIC, Domicile and passport size photograph with Postal Order of Rs. 200/ should be paid in favor of Commanding Officer, CMH Bannu Cantt should reach at the said address. The last date for applying is June 10, 2018. Candidates are requested to mention clearly the position applied for on the envelope. Only shortlisted and eligible candidates will be called for test/interview and no TA/DA will be admissible for appearing in test/interview. Candidates have to bring original documents at the time of interview. 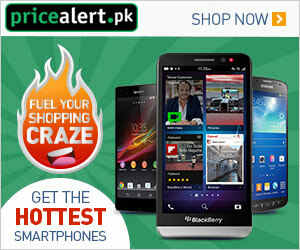 Stay in touch with us and keep visiting our website JobsAlert.pk for latest jobs. Last Date For Apply: June 10, 2018. Address: Commanding Officer, Combined Military Hospital Bannu Cantt.